This is a post that has been brewing for a long while, so sorry if it smells a bit. The basic concept hit me during FutureGov‘s excellent CityCamp London event, and keeps reoccurring as I have chats with people and read stuff online. It’s not a post about technology, really, but rather taking some of the lessons learned from technology and seeing how it can be applied to everyday public services. The way I see it is this – places, whether cities, towns, villages, or larger areas like districts, counties or regions, can be seen as systems. They have a number of different sectors and organisations working within them, all of which have their own distinct processes, but all of which also interact with one another all the time. When you think about it, it’s amazing that the system works as well as it does most of the time. These are complicated beasts. So what about this open source business? Well, whilst in theory anyone can contribute code to an open source project, in general, not many people actually do. Instead, development is handled by a small core group, and most people’s effort is put into testing software and submitting bug reports. This is the role I think citizens can play in redesigning local services – not necessarily producing solutions, but spotting the issues, the bugs, and reporting them. As Eric Raymond wrote in his seminal work on open source development, the Cathedral and the Bazaar, identifying problems is the hard bit, the bit where you need ‘many eyeballs’ – solving them should be straightforward for those that understand the system. That’s not to say that citizens shouldn’t be involved in contributing ideas for improvements, but it shouldn’t be their only contribution. I suspect this is the reason why the success of ideation competitions across the world has been variable, as Andrea Di Maio has noted on several occasions. A key part of the bug tracking process, though, is visibility, and this is what our public services lack right now as part of the feedback mechanism. The bugs people identify are published on the web, categorised and tagged so they can easily be found. Other people try to recreate the bugs so they can be further tested. People suggest possible solutions, which the core development team may or may not take on board. For place to work effectively as an open source system, then, we need an open, public repository of bugs that anybody can access. After all, there are very few areas of service delivery that just one organisation has ownership of. Take anti-social behaviour – it’s a police matter, sure, but also a health one, an education one, a social services one. There are probably some community and voluntary organisations that have an interest too. Any one of those services might have an easy solution to a problem, but if they don’t know about it because it was reported to someone else, then nothing is going to happen. Likewise when people are submitting issues, or bugs, they don’t necessarily care which service they should be reporting it to. Which tier of local government? Is it a police matter? We shouldn’t force people to understand our hierarchies and structures just because they want to point something out that is going wrong. Some people might be crying out ‘FixMyStreet!’ at this stage, and that site does go a certain way to answer some of the issues I’ve written about. But there are a couple of key differences. The first is the nature and tone of FMS, which the name makes clear. ‘Fix my street!’ yells the citizen. Maybe we should turn that around, and make it ‘How can I help you to fix my street?’ might be a more positive exchange. Not only that, but while FMS provides a space for public responses to issues from the council, it doesn’t make the process of producing a solution an open one. It doesn’t open the conversation up to the other actors in a place, it doesn’t enable citizens themselves to contribute to the solution – whether through their ideas or actually physically doing something. Here’s another example. Maybe someone reports a bug in the local public transport arrangements, getting from a village into the local town – there isn’t a bus early enough to get them to work. They could report the bug straight into the local council, in which case it would probably end up being pushed to the transport operator. But this misses the opportunity for perhaps a local private car hire firm to step into the breach, or indeed for a local resident to offer a lift. In the latter case, sometimes a problem in the system doesn’t need a system wide fix. There are a number of challenges to open sourcing a place like this. A major one is the way that partnerships work at the moment, which can be incredibly slow moving, bureaucratic and not terribly collaborative. A more enlightened approach will be necessary – although in this age of public sector austerity, such an attitude is likely to be required anyway. There is some tech required – the best place for the bug tracker is online, but throwing something together in WordPress or Drupal shouldn’t take anyone who knows what they are doing too long at all. So this concept I think starts to tie together some of my thinking around coproduction, crowdsourcing, open source and my more recent outpourings on innovation and creative collaboration. I’d be really interested in people’s thoughts. Please spot the bugs in what I’ve written! Whilst the half baked thinking in this post is entirely mine, the bug tracker idea was originally blogged about by Tim Davies a few years ago; and the importance of visibility was made clear to me in a conversation with Nick Booth. On my recent two posts on bringing the idea of skunkworks to local government, several people made the extremely reasonable point that I probably wasn’t really talking about skunkworks at all. …it seems to me that we’re at risk of hanging more onto the ‘skunkworks’ peg than it’s fair to ask it to carry. To me, skunkworks is about a team delivering a tangible technical output quickly and creatively because they’ve been relieved, to a great extent, of bureaucracy and management. I hold my hands up to this! 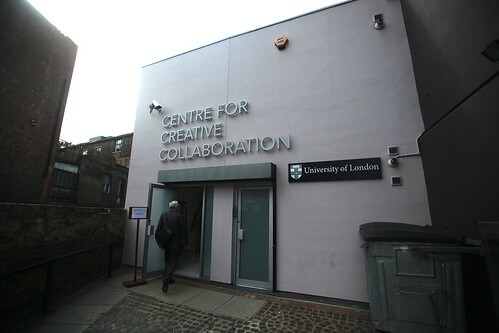 My time spent with Lloyd on Saturday reminded me of the really interesting work he is doing with Brian Condon and others at the Centre for Creative Collaboration in Kings Cross. Perhaps this is a better model than a skunkworks for helping local councils improve and innovate? Creative collaboration is all about the idea that if you put interesting people in a room together, magic starts to happen. We saw that in abundance on Saturday at GovCamp. A neutral place where people from many different backgrounds – universities, large corporates, SMEs, freelancers – can work together on new things in the belief that real innovation happens at the edge and in the gaps between disciplines. I suspect this is the sort of thing I was thinking about. I think there are two elements here for councils – the purely internal, and then opening up a bit to outside ideas. Firstly, perhaps a local authority should have its own ‘centre for creative collaboration’ where innovative, idea-laden people work together, no matter what their role or duties. In other words, allow the networkers, the collaborators and the innovators to leave their desks and put them next to each other to create wonderful things. This isn’t the same as a skunkworks, because these guys are still doing their day jobs – just in a different environment, where connections and collaborations can flourish, organisational boundaries be leapt over and ideas generated. The second stage is then to open the conversation up to others, probably in a neutral space, rather than in a council building. Maybe this is something that empty shops on high streets could be used for? 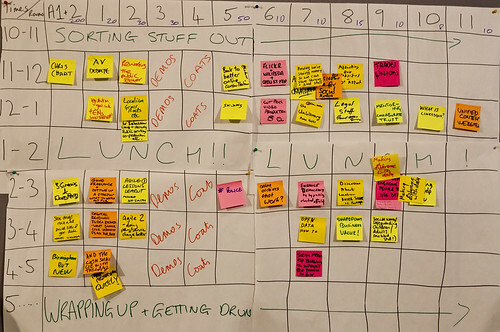 Just arrange Tuttle or Jelly like meetups, allowing people to hang out and talk about their work and ideas. Start off informally and see where the conversations and ideas go. If similar initiatives are happening in places across the country, then sharing experience should be fairly easy to do through online networks. I’d be interested in people’s thoughts! Posted on January 27, 2011 Categories innovationTags c4cc, collaboration, creativity, innovation, skunkworks2 Comments on If not skunkworks, then maybe creative collaborations? Ingrid Koehler led a really interesting session at the weekend’s GovCamp about blogging in the public sector and how it might be supported and promoted (the session later went on to cover the excellent LGovSM twitter chats that happen on a Friday afternoon, convened by Louise, who also blogs). One great contribution was from David Allen Green who blogs for the New Statesman as well as his own, extremely popular, Jack of Kent blog. He gave some great tips on writing engaging content, including keeping sentences and paragraphs short, and ensuring you are actively contributing to the topic under discussion, rather than just repeating others or trotting out opinions – advice I’d probably do well to heed. Carl Haggerty – one of the best govbloggers we have – also contributed with some great thoughts on the use of blogging as a personal learning and knowledge tool. It’s personal reflection. I’ve worked out a lot of things through blogging, the process itself has often help me achieved clarity. But other things that are great about blogging are community aspects – feedback, additional information, learning new things, reality checks and correction. And for that you need an audience, but not a big one. And many people (like me) find that having an audience provides some stimulus to keep doing it. But again, it’s not about big numbers. …people blogging is important, and a Good Thing. There are a number of reasons I think this way – mainly that blogging is a great way to develop and share ideas, to create a movement, to develop a reputation. A healthy and active blogging community in a sector means that it’s a sector where there is a lot of creativity. It means that sector is an interesting place to be. What’s changed in a year? I’d say that govblogging is growing. Public Sector Bloggers is being populated by more blogs than ever – to the point where there’s now almost too much stuff (see later on for thoughts on that). Another important change is the use of the common blogging platform on the Communities of Practice. Predominantly a local government space, for the first few years of the platforms life, the blogs were pretty much ignored. Now lots of people are using them to share ideas, knowledge and experience. These blogs, as well as being plentiful in terms of the number of posts they produce, are also well engaged with, and when I remember to copy-and-paste content across there from DavePress I find I usually get plenty of comments, which is great. It also provides a reasonably safe environment for those new to blogging, of course. However, the Communities of Practice remains a fairly closed platform, and the fact that you have to remember to log in and check for stuff means it’s always going to lack a bit attention-wise. This should be fixed in the up and coming Knowledge Hub, which promises to be more open – where users choose it to be – and it will be easier for those of us with existing blogs to import our content automatically rather than having to copy and paste it as we do now. I’m keen, and I know others are too, to support the use of blogging within public services. There is still a joy to be had in publishing, especially when you start to gain a readership and people interacting with what you write. So what could be done to encourage others to get involved? I’m keen to see Public Sector Bloggers play a role here. We’ve added more and more feeds to it, and while it is by no means comprehensive, it’s also getting rather unwieldy. Some kind of categorisation is needed, I think. I also suspect that it isn’t that well known. The FeedBurner stats show that 125 people subscribe to the RSS feed, with 24 subscribing via email. The Twitter feed has 785 followers, which isn’t too bad. I don’t think we have Google Analytics installed, so I’m not sure what the direct visitor numbers are like. What could we do with Public Sector Bloggers to help encourage more blogging in the sector? Here are some ideas – I’d welcome yours, and any feedback too. There lots of stuff out there (including this rather outdated guide by me) and it should be too hard to pull together the whats, whens, hows, whys and wherefores of good public sector blogging, and to publish them on the site. Maybe it could be cobbled together to form an e-book. I’m not convinced this would help much given how easy it is to sign up for your own blog on WordPress, Blogger, Posterous or Tumblr (maybe there are too many options!). It might however take away some of the pressure people feel about having to post regularly to their blog, if they are contributing to one big one with lots of other authors? How about some kind of blogger mentoring, where a newbie blogger is introduced to a veteran, who can provide ongoing advice and guidance on posting, writing style and that kind of thing? This one is a definite I think. We need to go through the list, cull the blogs that aren’t updated any more and add some of those that are missing. Some kind of categorisation would be useful, whether in terms of the parts of the sector the blogs are written about or the themes they cover. Maybe a common search engine across them all to make finding content a lot easier. As I said above, I’d be glad to hear your thoughts on these ideas and any you might have yourself! One of the best blogs I read regularly on innovation is 100% Open. 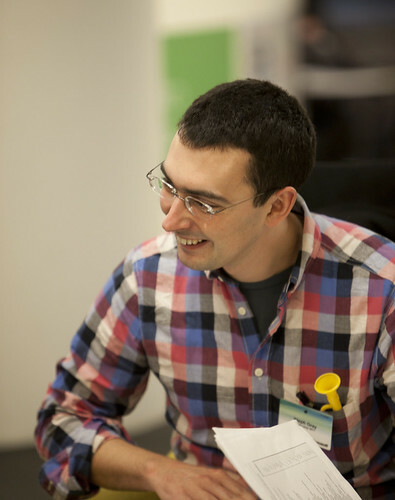 The latest post there is a pretty interesting one on building an innovation culture. Read the whole post for a description of each one. Not sure I would agree with them all – number 3 gives me the willies – but certainly food for thought! Any you would add, or question? Since moving house back in October, my local government district is South Holland, in south Lincolnshire. I’m no stranger to it – this is where I grew up, before leaving to go to University. It’s good to see the local council is engaging in some online engagement activity in the near future. Firstly, they are running a YouChoose-based budget simulation exercise. Second, with help from the nice folk at Public-i, they are webcasting a Q&A session with decision makers which is taking place in the council chamber. People engaging virtually can also send in questions via email – it would be good if other tools could be used like Twitter – although this is hardly a hotbed of social media activity if I’m honest. South Holland is also lucky to boast a blogging Chief Executive in Terry Huggins, who is also present on Twitter. We share him with Breckland Council in Norfolk. As well as a shared Chief Exec, the council has a shared back-office arrangement with East Lindsay council, further north in Lincolnshire. Recently I’ve been thinking a fair bit about the ‘participation deficit’ – the fact that too few people are contributing too much to society. It’s what informed my post about my view that we need more councillors. No even half baked views or ideas yet, I’m afraid, though I’m mulling over whether to have a discussion session about this on Saturday’s GovCamp. In discussion on Twitter about this, though, Anthony pointed me to an excellent (if lengthy!) slidedeck he has put together which includes stacks of interesting research. View more presentations from The Democratic Society. It strikes me, collecting these online resources and chatting online with people about issues, that we lack a decent platform to really discuss and collaborate on ideas like this. A sort of mixture between a research tool and a discussion platform. Does this already exist? Am not sure it does! In the run-up to Wednesday’s publication of the health and social care bill David Cameron is discussing his plans to overhaul public services, including the NHS, today. You can voice your thoughts on Cameron’s plans with other social care professionals by grabbing one of the few places remaining at our free expert-led Social Care briefings taking place in Manchester on 19 January 2011 and London on 20 January 2011. With the move towards refreshed Common Induction Standards planned for 10 June 2011 and against the background of ever changing public sector climate, you will learn from industry speakers and see how e-learning can achieve care provision whilst delivering significant efficiency savings. For the Common Induction Standards, less than five months remain of transition window for social care practitioners to move from the old standards to the new before the old standards are removed. From the Social Care Institute of Excellence (SCIE), will be Colin Paton who will introduce their work in the area of e-learning with the London delegates and share the results of research SCIE ran with Ipsos MORI into the e-readiness of the social care sector. Warwickshire County Council’s Carol Judge, an expert on Safeguarding Adults and DoLS, will be discussing the changes that are on the horizon in these areas and also her experience in using e-learning as a way to reach out to GP’s. Shedding light on social care in the 21st century will be Ophira’s Lyn Meaden. Lyn will be looking at the massive challenges ahead in adult care, from partnership working to efficiencies and how Learning Pool Social Care can help you tackle some of these. Representing the third sector will be Alzheimer’s Society who will share their experience of the Dementia e-learning module that they worked on in partnership with SCIE. Wrapping up with the event will be an open table discussion when delegates will have the opportunity to ask speakers further about their areas of expertise and network with other delegates. If you cannot attend Manchester or London, you can request the speakers’ presentations from the briefings here.